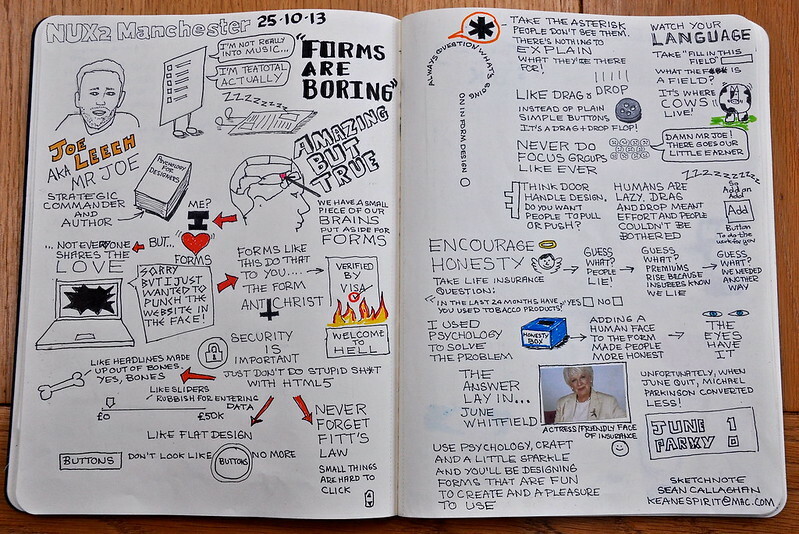 Are forms boring? Let's see. Written by Joe Leech on Tuesday, 8 September, 2015 at 8:30 pm. Some advice and help for making better forms. The science of form design. Security, honesty & stupid mistakes not to make. There’s nothing worse than a form design project. The thought of laying out page after page of white boxes and labels can send the average designer to sleep. @mrjoe will show you how to add a little magic to your forms. Using psychology, craft and a little sparkle you’ll be designing forms that are both fun to create and a pleasure to use. I gave this talk at NUX in Manchester in 2012. These are the updates slides from MakingWeb, Norway in 2015. Francis Rowland’s sketch notes of the talk. I made a great little Form Cheat Sheet with tips to design great forms.